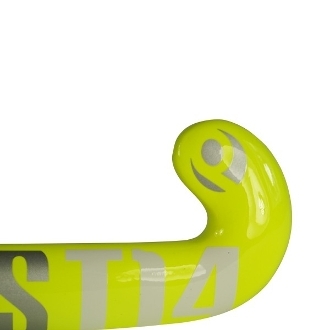 The 4 Star - T14 Princess Stick is made of 40% carbon and is the perfect allround stick. The stick has the right balance between flexibility and stiffness. The combination of a rounder lower hand profile and uniform rounder rear blade profile helps to provide excellent handling quailities as well as excellent energy transfer when hitting and drag flicking. It's the best profile for both technical play, flicking and dribbling skills.